The weekend saw me hit the road for two events, including one I’ve been looking forward to for quite some time! 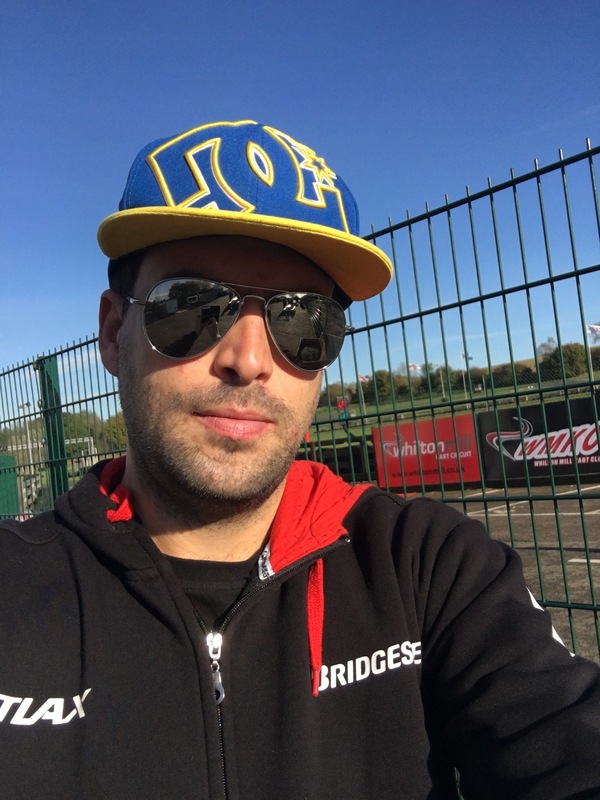 Since doing more of the Motors TV commentary, it’s occurred to me that rental karting has great potential for a TV show, not only is it close and competitive, but it’s an open form of racing that anyone can get into at a modest cost. With the help of Geoff Deacon at Sutton Circuit and Clark Cowell from Rugby Kart Club (RKC), a plan was soon hatched; with a special TV event organised under the RKC banner at Sutton Circuit. Saturday saw me travelling up to Sutton early with Paul Minihane of Blood Sweat and Gears… although not early by motocross standards! Not only was I presenting the show, but also competing in the event too. Lookimg at the rather iffy weather forecast, my racing head and TV head had two very different thoughts! Heavy rain was forecast for much of the morning, something I’d normally relish. However I was concerned it may affect the quality of the racing should the track be too wet. As it was, the weather remained dry for the afternoon and whilst the track remained slippery it did not affect the racing too much. The day started with a few laps of the track with a GoPro as part of the show, talking people round a lap of the Sutton Circuit. Great fun, although we had to go for another take following a slight excursion onto the grass! 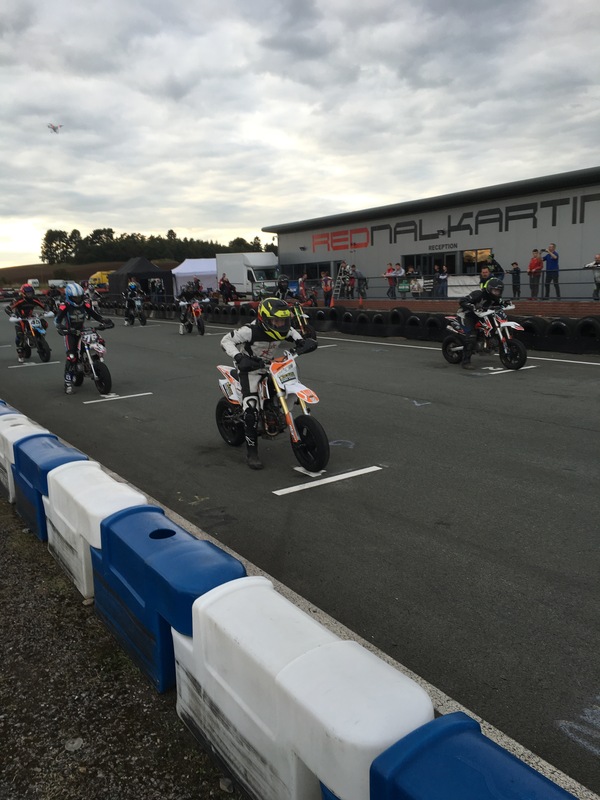 The event attracted a good mix of drivers, a few from the well-regarded Covkart rental series and some of the very fast locals from Sutton’s own championship. Sutton is quite a short circuit, but very demanding and technical; more than many places local knowledge I’m sure is a huge asset to be able to really get to know the track and drive it well! My qualifying was shortened as I completed some driver interviews right before the session, meaning I missed a couple of laps. Not a problem really as it was a 35 minute race, although I did manage to spin the kart within range of one of the TV cameras! I have a feeling that may make the final cut! I didn’t really get a strong lap together and only managed 10th on the grid. The start was done rolling-start fashion which certainly looked spectacular for the cameras! I think at this point it’s worth crediting the standard of driving, as the start at Sutton leads into a very slow right hander. With a pack of 12 drivers racing into the corner at once there was scope for collisions, but the drivers all kept a cool head in all of the races, and I don’t recall seeing any first corner crashes. Very professional driving and it’ll look good on the show! 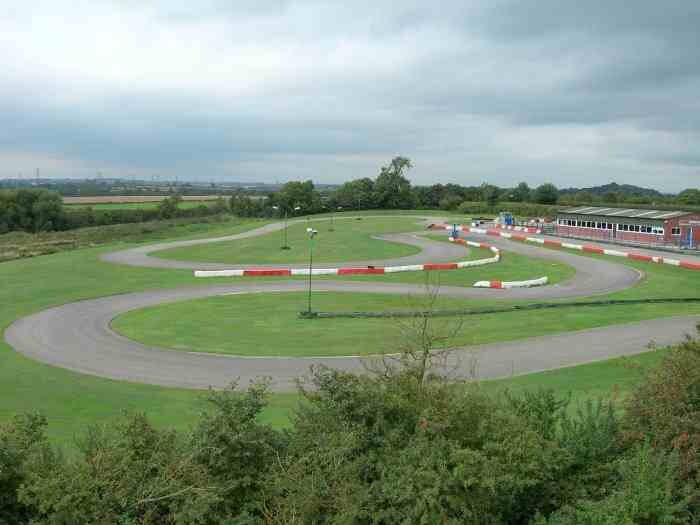 Sutton Circuit – well worth a visit! All in all it was a very good day with a lot of positive feedback. The drivers we interviewed were excellent on the camera and I’m confident it will make for a good show. It’ll be on air Monday 28th November, why not give it a watch! 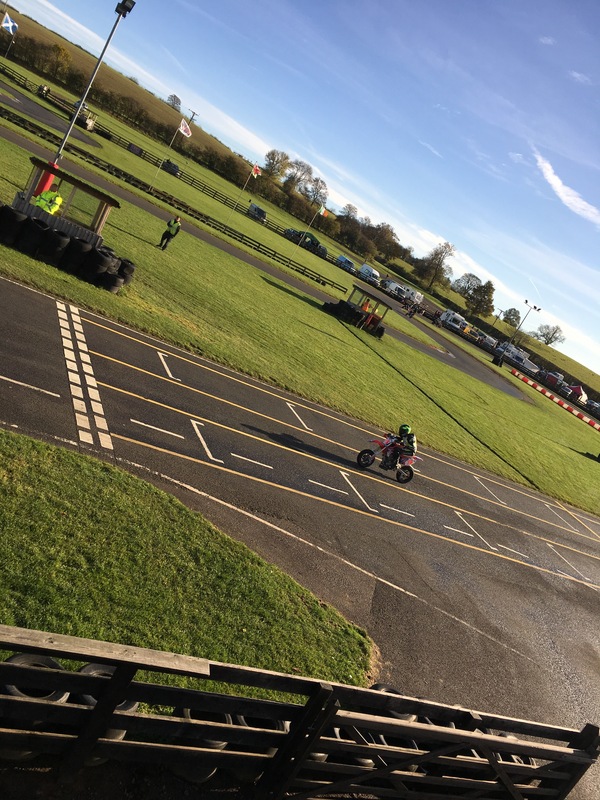 There was no time to rest, as the day after I set off to Northamptonshire, and the excellent Whilton Mill Circuit for the first round of the British Minibikes winter series. Another great day with the BMB team, it’s been good to finally get along to see the races live, and I’m pleased to hear the commentating has been well received. 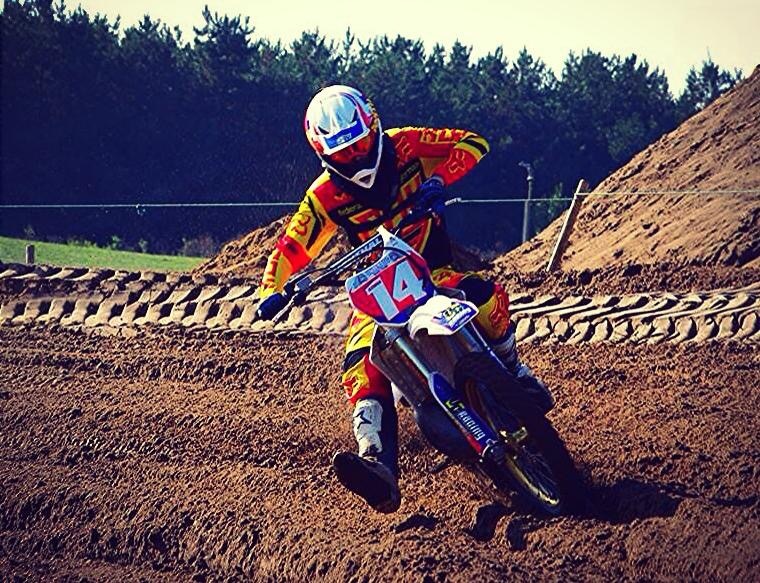 Lots of close racing, especially in the pit bike classes, the day really went off with a bang! Due to a late cancellation of the Top Dog motocross event at Preston Docks, I’ll be able to make the BMB’s award night this Saturday in Rutland, where I will be MCing and helping with the presentation. There’s some great plans for BMB in 2017 that I hope to be a part of next year, just hoping the dates don’t clash so I can be a part of it. They also have rental bikes! Anyone care to lend me a set of leathers?